I am a fully qualified Sound Healing Practitioner. I qualified with the College of Sound Healing UK in 2016, and have successfully helped many individual clients with physical, emotional and energetic issues. 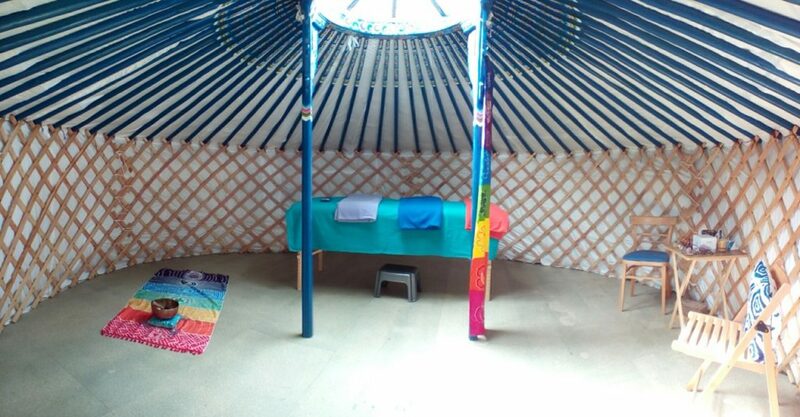 I practise Sound Healing in South Cornwall, in a Mongolian Yurt above the sea, where the calming and energising sound of trees and waves is a background to my vocal sounds. Sound Healing works at many levels: physical, mental, spiritual and energetic, to heal us holistically. It induces a very deep state of calm and relaxation, allowing the natural healing powers within ourselves to activate. If you would like some further information about this, or to make an appointment, please e mail me teresa@teresawicksteed.co.uk, and I can e mail or ring you. Your first appointment will be FREE.